The Wedding Collection — Lairsey Paper Co. Your wedding paper is something that will last forever. After the flowers die and the candles burn out, your wedding invitations will be kept safely in that heirloom box, or maybe even framed to display in your home. 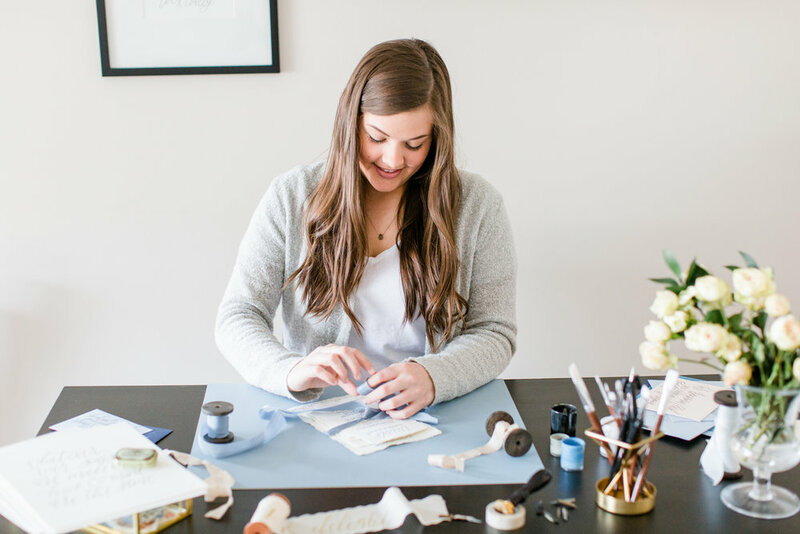 Your invitations should be cherished, so it's important that you put the same time and love into them as you would your wedding dress or reception decor. I would be honored to work with you to create timeless paper goods that you will cherish and love until your 50th wedding anniversary and beyond. Let's get started! Click here to download The LPC Wedding Collection Guide! Sinclair is traditional with a touch of modern. She features an interchangeable monogram that serves as the family's crest. With over 9 different crest options, this suite has many different personalities. The monogram crest can also be used throughout the wedding day paper goods, such as on favors, signage and more. Lanier is minimal and timeless. The custom calligraphy is the shining star of this suite. Lanier is perfect for the couple who embraces simplicity. Lanier is modern, yet classic and elegant at the same time. Hartwell features gorgeous floral illustrations by artist Meredith Mejerle Rush throughout the suite. Her delicate lines are feminine and organic, much like a climbing vine on a trellis. Hartwell feels right at home with the couple who loves intricate details and the beauty of nature. Complete the inquiry form and customize your suite by selecting your paper choice, printing method, and ink & envelope colors. Receive a custom proposal and personalized mood board based on your customization options. Reserve your spot by completing the required deposit. Receive a proof of your custom suite design. Once the proof is approved and the final payment is received, all designs are final & sent to print! Each suite is hand checked to ensure your paper goods are of the highest quality. 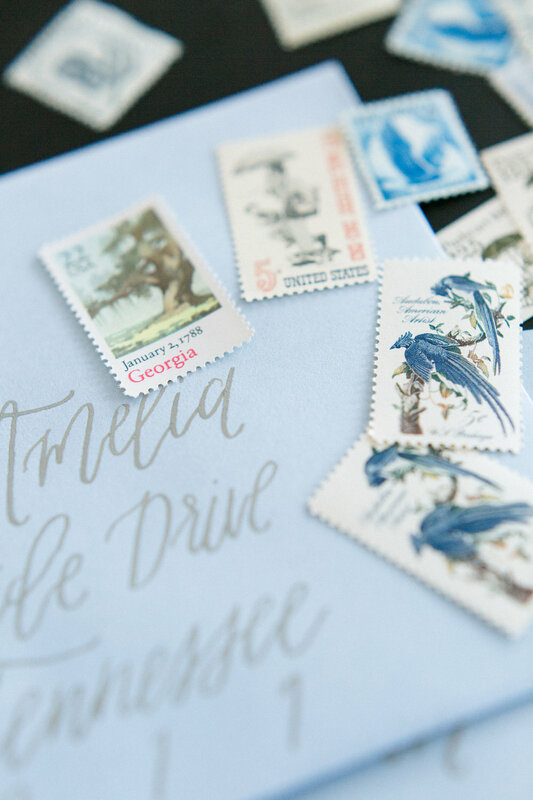 Any embellishments selected such as envelope addressing, wax seals, or silk ribbon are added. Your paper goods are assembled, packaged & delivered right to your doorstep! I would love the opportunity to work with you & your fiance on your save the dates and wedding invitations. Click the button below to fill out the Inquiry Form & I'll be in touch with your custom proposal within 2-3 business days. I'd be more than happy to help answer them! Click the button below to head over to the Semi-Custom FAQ Page. If you still can't find the answer to your question, feel free to email me directly!